Soul Writing starts from the self. If we have language, we can all write story. 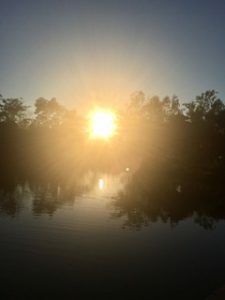 Soul Writers learn how to access the imagination using meditation techniques that open the intuition and allow the writer to enter into the stillness required for story to flow. Muriel Rukeyser said, “the universe is made of stories, not of atoms.” Each shift in human consciousness is accompanied by new stories. Writers of all levels can benefit from Soul Writing Workshops. Beginners who have never written a story before will experience how easy it is to tap into their imagination and put those ideas on the page. Professional writers experiencing “writers’ block” find the same techniques help to get the writing process flowing again. The state of the brain in meditation is very close to the state when a writer is “in flow.” From that still place it is easier to access the intuition and the imagination, both of which we require to write. The imagination creates and the intuition guides our creative decisions. Soul Writers learn how to listen to their intuition and trust its quiet guidance as well as how to allow the imagination the freedom to create without judgment. We learn to write with confidence the story or poem that wants to be written. ‘What Soul Writing means to me: It’s a medium of connection to your heart. Writing along the unique beats of your chest. This experience allowed me to lighten my creation process, because I now know that I’m never far from myself. Our journey together allowed me to find the frame in which I can create (speak), truthfully. It gave me permission to shine, at any desired time. I now have the key to the gate. ‘Enjoyed it! It was different and unique. ‘I would definitely recommend it! I have had a great experience! Soul Writing is not therapy, nor an alternative to therapy.